Help show your support for all those affected by Cancer. 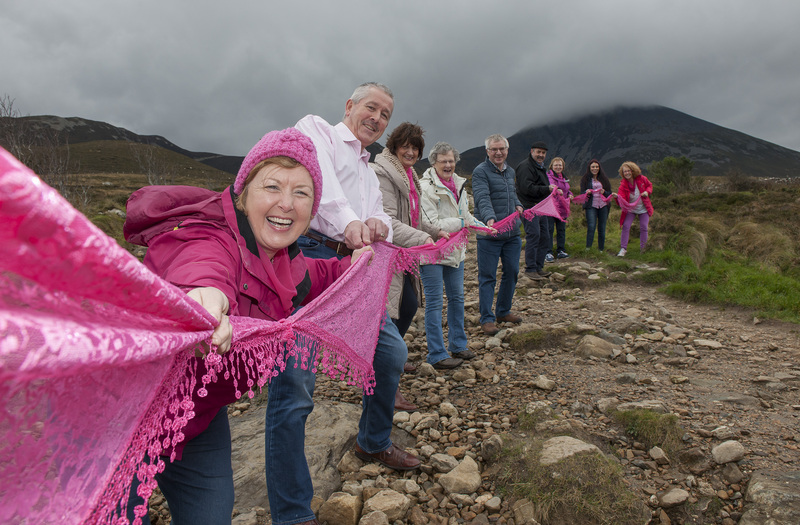 The Croagh Patrick Pink Link Challenge takes place on Saturday April 8th 2017. The challenge is to form a Link on Croagh Patrick to symbolize our support for everyone affected by a Cancer Diagnosis. The Challenge is made up of 4 different Levels and participants can climb to whichever level suits themselves so this is suitable for all types of fitness. 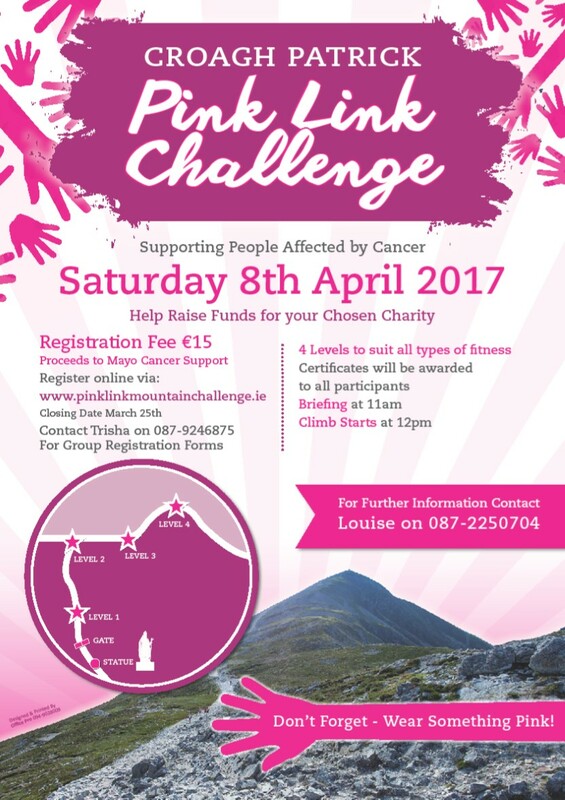 Registration fee is €15 and proceeds from …Registration will go directly to Mayo Cancer Support to benefit the Cancer Support Centre in Castlebar, Rock Rose House, and also for their outreach service provided in Ballina. You can register online via www.pinklinkmountainchallenge.ie or Contact 087-9246875 for Registration Forms. Participants can also raise additional funds for their chosen charity via sponsorship cards or online fundraising pages if they wish to do so.